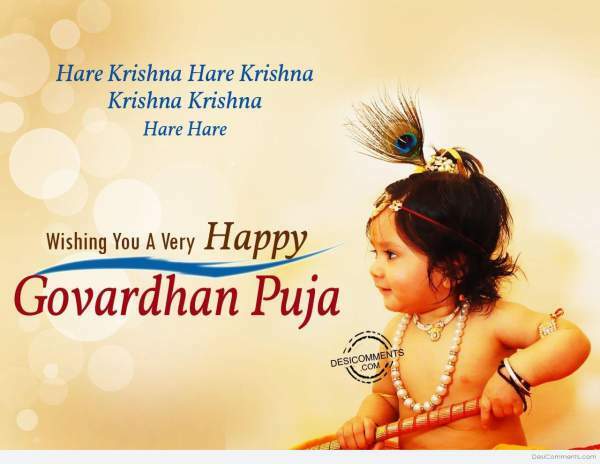 Happy Govardhan Puja Wishes Images: On the occasion of Goverdhan Pooja 2018, we have brought you a collection of Govardhan wishes, quotes, messages, greetings, WhatsApp status, SMS, sayings and some HD wallpapers, pictures, photos, cards, pics. It’s the fourth day of Diwali, the festival of lights. Before this comes Dhanteras, followed by Naraka Chaturdashi, and then Deepavali. After Badi Diwali, comes Govardhan Puja. It’s also known as Annakut or Annakoot. 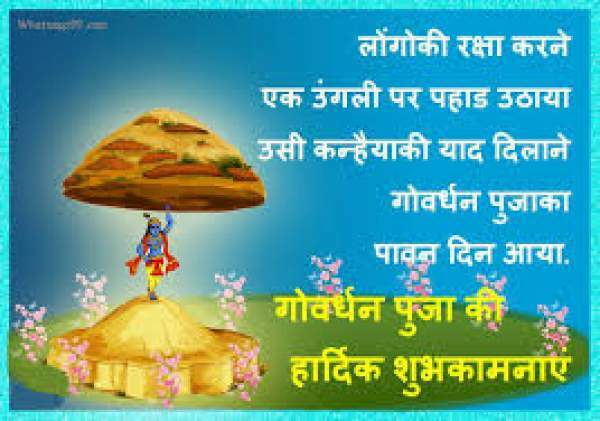 It is celebrated to honor Lord Krishna and Goverdhan parvat (mountain). This year, it falls on November 8. According to the beliefs, whoever believes in God and take refuge in God, he protects them. This occasion is highly celebrated among Vaishnavas and Krishna bhakts. Just like other festivals, we have gathered some of the best messages and Lord Krishna images for the day to send via social media sites like Facebook (FB) and instant messengers like WhatsApp, etc. 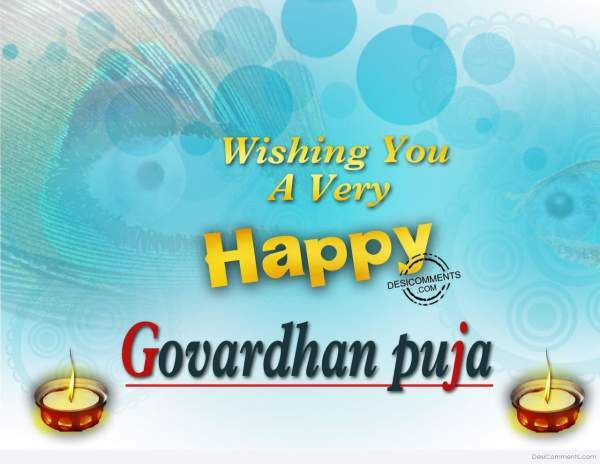 It feels great to share greetings on this auspicious occasion of GovardhanPuja. You can check the following Govardhan Puja 2018 wishes in Hindi and English. Along with it, you can find some WhatsApp messages, gif, Facebook quotes and SMS in Hindi to celebrate the Goverdhan day of Diwali. It’s also regarded as the New Year in the Vikram Samvat calendar. According to Bhagavata Gita, Lord Krishna as a boy lifted Goverdhan Hill on his little finger to protect the villagers of Vrindavan and provided them shelter from the torrential rains. With this work of him, he defeated the ego of Lord Indra. The moral of the story is that put complete trust in the God, and he will protect you. The Annakut festival is celebrated on the first lunar day of Shukla paksha of the Hindu calendar Kartik month. At some place, it is also known and celebrated as Balipratipada to honor the return of the demon king Bali to earth. In Gujarat, it is observed as Akashadipa as New Year Day. May Lord Krishna bless you and your family Right from heaven above. 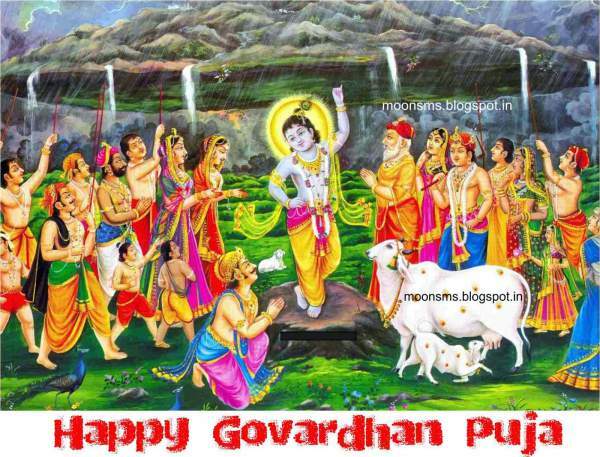 Happy Govardhan Puja. Krishna jinka naam, Gokul jinka dham, aise Shree Krishna Bhagwan ko, hum sab ka pranam, Jai shree krishna. HAPPY Govardhan Pooja!! A day of festivities and bliss Goverdhan Puja is here again May Lord Krishna bring you love and luck and destroy all the evils and pain. 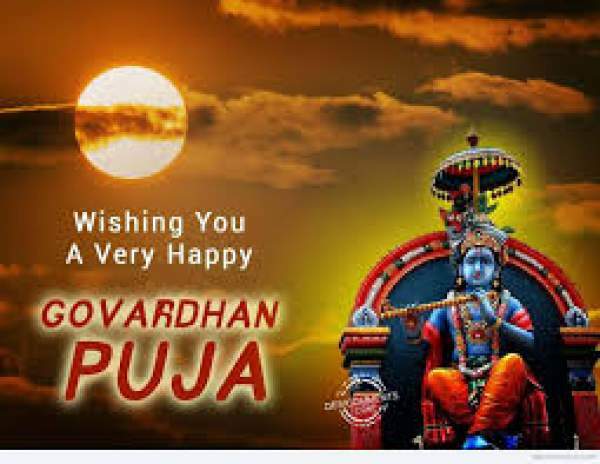 Happy Govardhan Puja 2018. 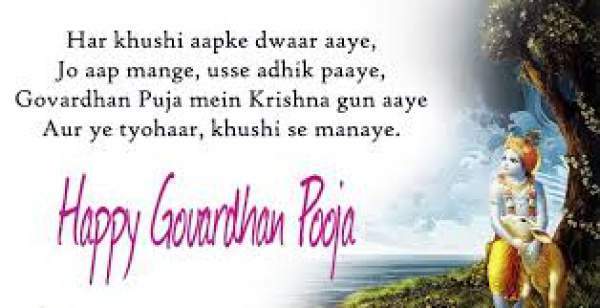 Happy and special Govardhan Pooja!! Murli Manohar will fulfill wishes Health, Wealth & Prosperity shall prevail, Believe in the almighty and keep going Krishna will help you sail. best Govardhan Pooja.